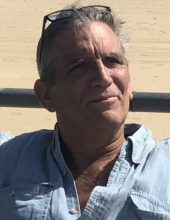 Craig S. Burst, 59, of Freehold passed away at his home on Monday, March 25, 2019. He was born in Neptune Township and was a fifth-generation Freehold resident. He was a graduate of Freehold High School, Class of 1977. He was in the construction industry for 40 years and was a manager for Hollister Construction, Tenafly. Craig was a member of the Sons of the American Legion, Freehold. He enjoyed visits to the beach and gardening at his home. He was predeceased by his father, Richard Burst, and a brother, Kevin Burst. Surviving are a son, Dylan Burst; a daughter, Samantha Burst and her husband Michael Muratore; his mother, Jane Stokes Gallo and his stepfather Christopher; his stepmother, Lulu Burst; a brother, Robin Burst and wife Kelli; his partner, Patti Knox; his nieces, Harleigh and Lexis Burst, Jade Heege, and Kristen Maista; a stepbrother, Glen Hoy; two stepsisters, Gail Kellenberger and Sandra Hoffman; and his two dogs, Lucy and Penny. The viewing will be held at the Higgins Memorial Home, 20 Center Street, Freehold on Friday from 4:00 to 8:00 p.m.
To send flowers or a remembrance gift to the family of Craig S. Burst, please visit our Tribute Store. "Email Address" would like to share the life celebration of Craig S. Burst. Click on the "link" to go to share a favorite memory or leave a condolence message for the family.